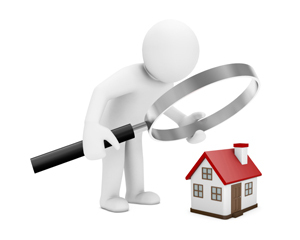 Why commission a building survey or Homebuyers Report? Because it will help you to make a reasoned and informed decision on whether to go ahead with buying the property. Before you decide to commit yourself contractually, you can limit your exposure to risks by asking a chartered surveyor, regulated by the RICS, to provide their expertise and opinion. Arranging your own survey is the simple, cost-effective way to avoid unpleasant, expensive after sale surprises. A report from RMA Surveyors Ltd can enable you to renegotiate the sale price of the property. The cost of the survey will pay for itself either as a tool for negotiation or by providing peace of mind. A detailed survey gives an impartial opinion, informing you about your future maintenance and repair liability. Please contact us and discuss your requirements. We are based in Newbury but we conduct property surveys across Berkshire and the south east of the UK. We offer both the RICS HomeBuyers Report and more detailed Building Surveys. We also provide defect specific investigations and reports. Each service provides you with a clear, comprehensive professional opinion. We will be pleased to provide you with all the information to assist you in deciding which service would best suit your requirement. Please see a detailed description of each service below. The report template is designed by the Royal Institution of Chartered Surveyors (The RICS) as a cost effective method of reducing risk for the purchaser. The Homebuyer Report provides purchasers with enough information to make an informed decision whether to proceed with the purchase. Condition rating 1 : No repair is currently needed. The property must be maintained in the normal way. Condition rating 3 : Defects that are serious and/or need to be repaired, replaced or investigated urgently. We will provide any additional services beyond the standard scope of the survey as required. This report template is based on the RICS Building Survey but is tailored to your bespoke property. A Building Survey (previously called a Structural Survey) is a more detailed report. The surveyor will undertake a more thorough inspection of the premises. The survey provides the reader with an in depth analysis of the property’s construction and visible, potential or inherent building defects. The Building Survey is ideal for large, older or run-down properties, if a building is unusual in design or construction or has been significantly altered, or if you’re planning to undertake alterations of your own. It is designed to give you a detailed insight into the construction of the property. The Building Survey costs more than the HomeBuyer Report because it gives detailed information about the structure and fabric of the property. We also undertake specific defects surveys and reports to properties. Specific Defects Reports are written to encapsulate the specific materials construction and associated issues surrounding a specific building defect. Reports can be provided in a formal written report or in a letter or email format depending on the client’s requirements. Specification for reinstatement can be included, as well as an estimate for repair costs. For property surveys in Newbury, Berkshire and the south east of the UK, please provide details in the form below and we’ll come back to you with a quote.